Our customer in Phoenix had a project where contractors were installing tile inside his home. Once the project was over, not only did the contractors leave a huge mess for us to clean, they also left a large gap between the carpet in the newly installed tile. The called us out to clean the carpet and to create a smooth carpet to tile transition. 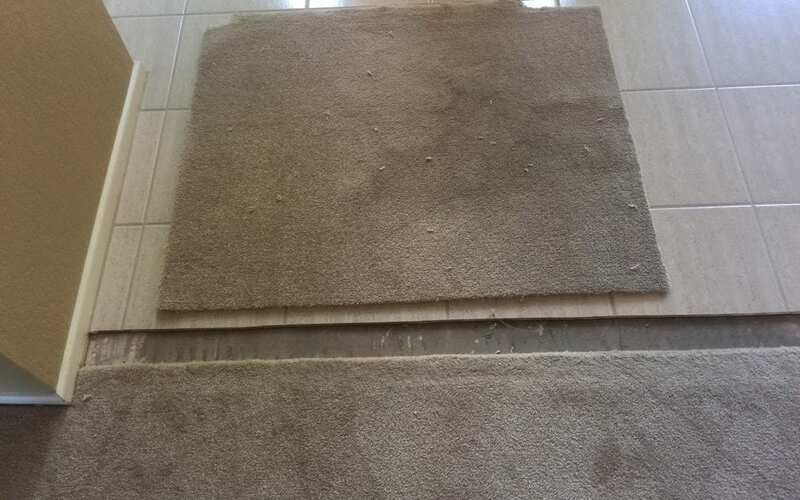 The customer was able to provide carpet, so we installed in and created a presentable carpet to tile transition where the gap previously was. We provide several services to maintain your carpet throughout the year. Before you start shopping to replace your carpet, there is a good chance that we can fix the issue for you.